While on vacation in Malta, Jonathon Payne and David Jones bump into an old friend, who has come to the islands to search for a long-lost treasure of the Knights Hospitallers, an organization that dates back to the First Crusade in 1099 AD. When Ivan Volkov—the ruthless leader of a Russian crime syndicate—is betrayed, he is willing to do anything to get retribution. Protected by a team of hackers and henchmen, he travels to the Mediterranean, where he leaves a trail of bodies in his wake. Before returning home, Volkov learns about the ancient hoard, one with possible ties to Paul I and the Russian Empire. With pride and riches on the line, he focuses his wrath on the only people who stand in his way, but Payne and Jones refuse to back down as they try to locate one of the most important treasures of antiquity. The action-adventure genre is filled with serious-minded heroes who are out to save the world from the latest evil-minded scheme, but THE MALTA ESCAPE isn’t like that at all. Although there is action and adventure in my story, the two main characters (Payne & Jones) are all about lighthearted fun. They simply can’t help stop making fun of each other and everyone around them — not in a mean way, but as best friends tend to do. My books have a little bit of everything, but the one thing I pride myself on is the comedy. I visited Malta back in 2015, and I immediately fell in love with the country. While going back through my photos and doing additional research for my story, I realized how many things I actually missed. Once my book is released, I’m looking forward to going back to Malta to do all of the things I didn’t have time to do during my first adventure. I love the country of Malta. I truly think it is one of the most awesome places in the world. By the time readers finish THE MALTA ESCAPE, I will be highly disappointed if they aren’t booking a trip to Malta to see all the amazing sights that I described in the book. 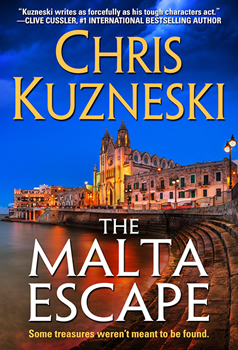 Chris Kuzneski is the international bestselling author of THE MALTA ESCAPE, The Prisoner’s Gold, The Forbidden Tomb, The Einstein Pursuit, The Hunters, The Death Relic, The Secret Crown, The Prophecy, The Lost Throne, Sword of God, Sign of the Cross, and The Plantation. His thrillers have been translated into more than twenty languages and have sold millions of copies worldwide. The first book (The Hunters) in his new series is currently being made into a major motion picture. His latest novel (The Prisoner’s Gold) won the ITW Thriller Award for E-Book of the Year. 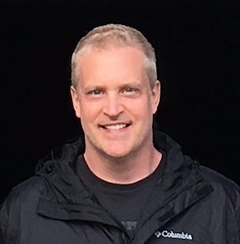 To learn more about Chris, please visit his website.